The kids really got into St. Patrick's Day this year. 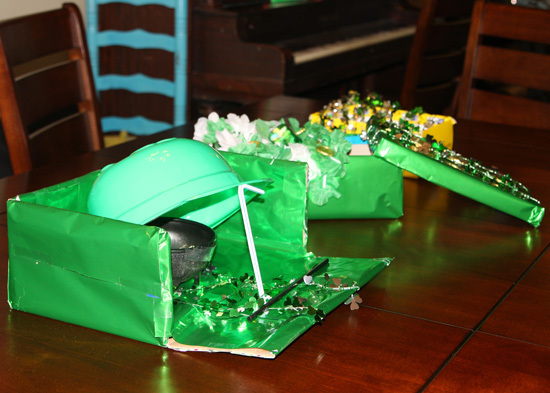 I guess between school and friends they decided we needed to do Leprechaun traps. We looked at some ideas on You Tube and I felt pretty defeated as a parent. There is so much that goes into Holidays lately that it feels overwhelming to me. The traps ended up being a great thing for the kids to do. They spent a couple days planning and mapping out how they were going to build their traps. They had to also write down a list of supplies they would need and this was really good writing practice for Michael so I was happy. We got them done and set them up the night before. 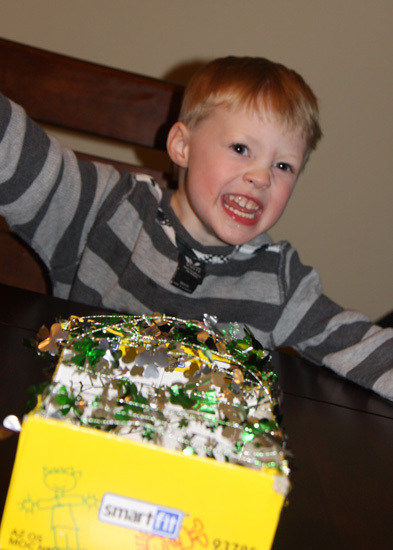 The Leprechaun did come and do some decorating to the house leaving trails of gold coins but we did not catch him. It was a magical day for the kids. Davis didn't care what we did but he loved the treats. The older kids had inside out day at school and now he thinks he can do it at home everyday but he also wants it to be backwards as well- like the picture above. We just go with it. 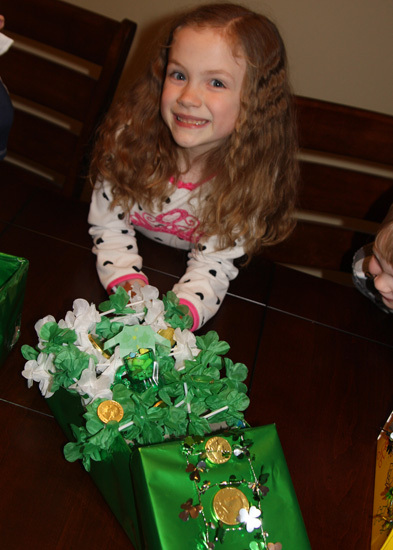 Abby did a ladder up to the top of her box where she put flowers to look like grass so he would fall through but he had a cup of Lucky Charms to pull down into the box in case he got hungry. She also made a shirt for him. 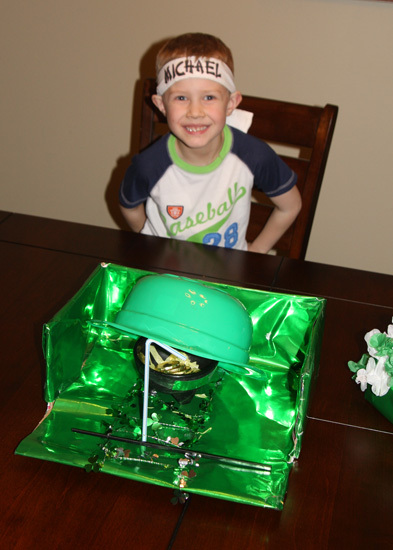 Michael tried to bait him in with a pot of Gold and trap him with the hat.